High Wycombe, UK, 27 September 2018 – At The Restaurant Show 2018 (1 – 3 October 2018, Olympia, London) AccentPOS® will be demonstrating the AccentPOS Hub, an online companion application to its award-winning AccentPOS software. The Apple iPad point-of-sale (POS) application for hospitality venues will feature alongside the Star TSP143IIIU USB printer and TSP654IIBI Bluetooth printer on Stand GN39. AccentPOS is a leading iPad management system, offering a complete solution covering business infrastructure, point of sale and back office administration. Connected to the AccentPOS iPad application, the Hub enables restaurant managers to keep track of individual venues and tracks usage in real-time to allow more informed decisions to be made about multiple outlets in seconds. The Hub is ideal for both small independent establishments and large multi-outlet brands. – Menu configuration – Create multiple menus and allocate to in-house and takeaway, allowing for differentiation in price, range and description. Edits to any of the menus can be completed in real-time and are applied to the in-house iPads upon sign-in. – Variants – AccentPOS variants are a universal addition that can be added to menu items. Multiple variants can be added to a single menu item all of which will be displayed when the waiting staff select the item within the AccentPOS iPad application. – Bookings – An integrated AccentPOS bookings widget can be added to an existing website. Once installed, all bookings are collated in the ‘Bookings’ area of the Hub where they can be accepted or declined by the manager and allocated to a specific table at the requested time prior to customer arrival, maximising capacity. – Easy expansion – Additional outlets along with their capacity can be added to the Hub to ensure AccentPOS is ready to go as soon as the WiFi is up and running inside the new outlet. All administrative work such as menu creation and allocation can be done before the restaurant opens or simply reallocated if a menu already exists within another of the outlets registered to AccentPOS. – Users – A new user can be added and the manager can select what role they are performing within the restaurant which then informs their user privileges. Once a username and password has been assigned they are ready to pick up one of the in-house iPads and get started. – Accounting – Every transaction put through AccentPOS will appear in the Hub, allowing for a quick and easy cash-out at the end of the evening. All transactions can be opened and viewed in more detail with the ability to re-print receipts if required. Discounts and refunds are also taken into account and can be reflected in the analytics dashboard if the user chooses to apply this information. To complete the package, the TSP143IIIU USB printer and TSP654IIBI Bluetooth printer from Star Micronics have been integrated by AccentPOS as the supported POS receipt and kitchen order printers. The TSP143IIIU offers a unique communication and charge feature via the Apple device’s Lightning cable for a no-fuss setup, reliable connection while the ultra-white casing aesthetically matches Apple devices. 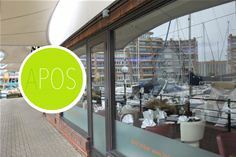 AccentPOS is enhancing its solution further by including a new customer facing app that will be available early 2019 to help customers search, discover, book and collect rewards from hospitality venues signed up to AccentPOS.